Kaitlin Stich leads demand generation programs for Kenna Security. Kenna Security is a vulnerability management and risk intelligence platform and they sell to IT professionals. 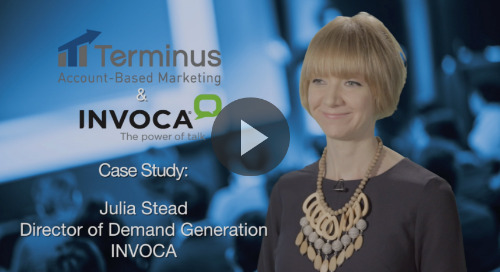 We talked to Kaitlin to learn how Kenna Security expanded reach with Terminus. Why did you choose Terminus? 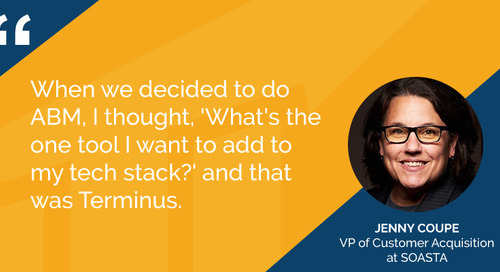 We chose Terminus as part of a larger ABM strategy at Kenna Security late in 2015. We started evaluating our current marketing channels to reposition for account-based marketing (ABM). We were using search and social, email marketing, email nurturing, and display advertising. 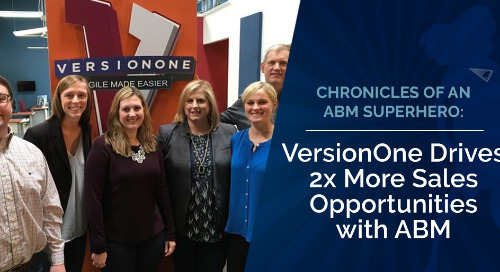 One of the challenges we found when evaluating our current display advertising vendor for ABM strategy was that they were not capable of targeting our customers and our prospects the way that we needed to be sending them messaging – based on where they are in the funnel. With traditional ads, we were quite limited in targeting only what website activity prospects were engaging with. 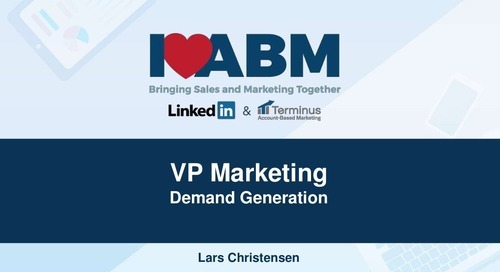 The challenge today is there are multiple buyers in a very complex B2B technology sale; the challenge of executing an ABM strategy is you want to get to all of those stakeholders, whether they are part of your database or not, whether they are attributed correctly in Salesforce.  Terminus gave us the ability to target all of the stakeholders within our conversation regardless of how light the touch was, whether they were the primary decision maker or the influencer at the other end of the scale that would potentially be using the platform. 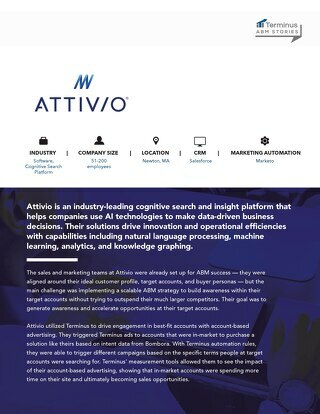 We felt that was one of the really strong differentiations in the Terminus platform. What strategies are you implementing with Terminus? There are a couple of strategies that we are implementing with the Terminus platform. One, we are targeting specific accounts with specific campaigns. It’s really exciting that you can go after one of the largest accounts that you want to crack and be able to send the correct messaging that speaks to their pain points specifically in a very "white glove" kind of way. Being an enterprise technology sale, that was a really important to us. We’re really excited to see the result of creating that opportunity and also accelerating it down the pipeline. One of the other things that we wanted to target was different stages of the buying cycle based on where the account was. 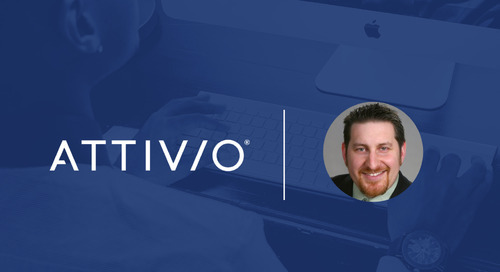 Whether they were a prospect account, whether they were a current customer, or whether they were getting ready for a renewal, we wanted to send them the correct messaging that would get greater buy-in from more stakeholders within the business. There are so many stakeholders involved in technology purchases today, it’s much more important to get a broad reach along the account journey that they go through when they’re either evaluating a new vendor or looking to reinvest in a current vendor that they’re working with. 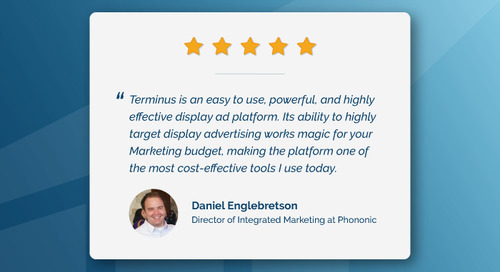 How do you measure success with your Terminus campaigns? We are able to determine whether there’s increased velocity in the overall deal. We look at average days to close, average conversion rate, and time to conversion at every stage. 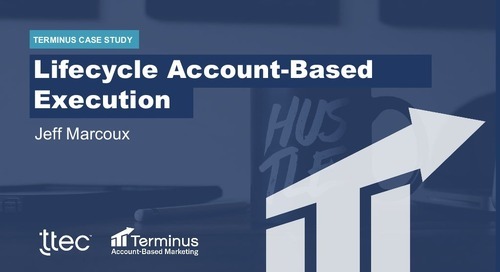 Because Terminus allows us to target specific campaigns to different buyers in the cycle, we are able to understand and A/B test based on whether customers are responding to the campaign or not. What’s one thing you like about Terminus? I’m really excited about the Terminus platform. One of the reasons that I am excited is that it speaks to all levels of the marketing function. Whether you’re a demand generation marketer looking to improve the conversations that you’re generating for the sales team, you’re a channel marketer looking to grow the revenue from your channel partners, or you’re a customer marketer looking to increase velocity, increase interest in renewals and upsells, it really fits every need of the business along the way, and ultimately, I think because it does that, it makes your CMO happy. It’s a tool that you can use across your marketing functions.